Persons with disabilities 'Do You See Me' exhibit at Guam Congre - KUAM.com-KUAM News: On Air. Online. On Demand. 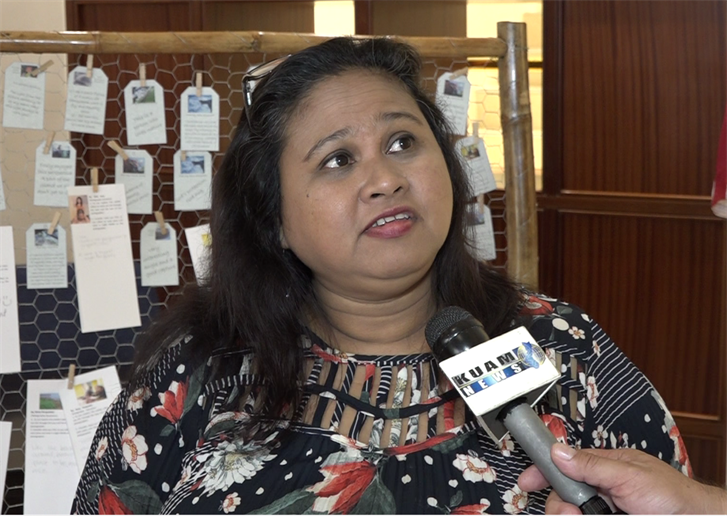 Guma Mami's "Do You See Me: Exploring Stigma Through the Eyes of Persons with Disabilities" art and poetry exhibit at the Guam Congress Hall runs through the end of the week. As Guma Mami gears up for its 37th anniversary on Guam, the nonprofit and its consumers are taking part in photography and poetry workshops at the University of Guam. Do You See me displays the fruits of that labor. Guma Mami acting director Monica Limtiaco explains what you'll get to see. "What we're seeing about the pieces is that it's about family, right, it's about trust it's about issues on accessibility but it's about people they're celebrating their lives just like anybody else," she said. Dozens of photographs and poems fill the congress hall's lobby and Limtiaco tells us as the nonprofit, which provides residency and other programs for adults with disabilities, is reflecting on the work it has done in its relevant communities. "We were actually the first housing support provider on the island first with those who have cognitive disabilities what people know as mental retardation," she explained. "We started the first housing support program at one point in time we also had a case management program today we have a drop-in center for persons with mental health issues as well and we also provide domestic violence services as well." Limitiaco invites the public to come see the display, which runs through the end of the week. We asked her if there was any specific piece that touched her while putting this exhibit together. "The piece on the rooster," she said. "For her, it is, first of all, a cultural experience but to her, the rooster was a symbol of power and also flight and being afraid and wanting to launch yourself and to be a fighter and that's one of the pieces that really touched me the most," she said.